$46 - PPLA takes the care free and fabulous feel of California and uses it as inspiration for all of their tween styles. This dress is found in their spring 2018 release. 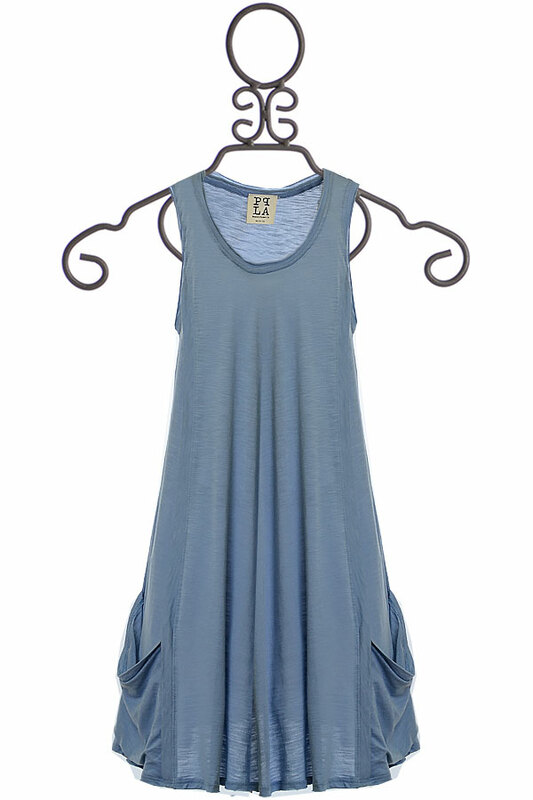 The dress is styled as a slip fit, falls with a comfortable drape. The light weight fabric is breathable for the warm summer days. Just above the hem on both sides we find an oversized pocket. Her U neckline is sleeveless and can be easily placed beneath a light jacket or cardigan, transitioning from warm days to those summer nights with ease.